Warrior of Light is a free adventure game for Windows 8 and 8.1 devices. When you run the game on your device, you will first be presented with the main menu of the game, which will allow you to start the game or load an existing saved game. From this menu, you can also choose to view the instructions of the gameplay experience. The game has cool overall graphics and the gameplay interface is really nice as well. 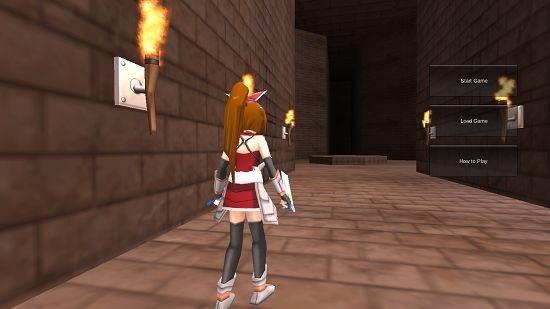 Overall the game runs pretty smoothly and being designed in a 3D environment, the game has a modern look and feel to it. The game is completely devoid of ads of any sort, and hence makes for a minimal and clean gameplay experience. Warrior of Light is freely available from the Windows App Store. When you install and launch Warrior of Light on your device, you will be presented with the below interface. Here, if you look towards the right side of the screen, you will see three buttons, namely Start Game, Load Game and How To Play. Clicking on the How To Play button will pull up an interface which will show you the game’s controls as can be seen below. Click on the Back button at the bottom right at any time to return to the main menu. Once back there, you can click on the Start Game button to be presented with the gameplay interface itself. You play as the female warrior who has to stop the impending attacks from the enemies on the ground. In the gameplay screen, you can see the health and other stats at the top left corner of the screen. You can see the map. You can also see the controls at the right side of the screen. The game can be paused via the Esc. button. It’s game over when an enemy successfully defeats you. 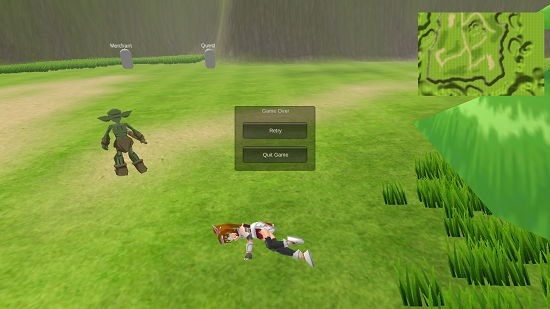 The game over prompt is shown in the screenshot above. You can choose to restart the game or quit the game from the game over prompt. 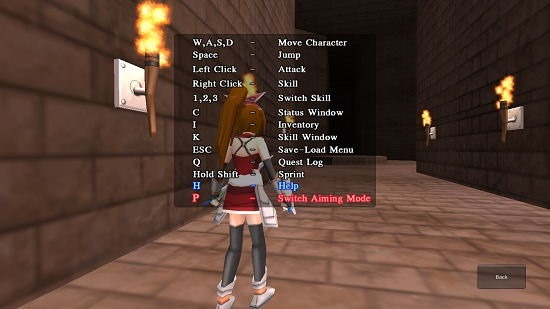 This wraps the main features of Warrior of Light for Windows 8 and 8.1. Warrior of Light makes for a good download on your Windows 8 and 8.1 device if you are a fan of 3D gaming. The game is well designed and makes for a great download to while away your time.